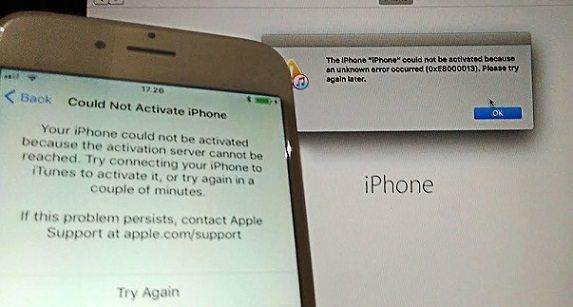 iTunes error message 2005 usually appears when restoring iOS firmware on your iPhone/iPad. The most likely reason should attribute to a USB connection, but many other situations can also lead to this problem. Not too long ago, I have upgraded to iOS 11 on my iPhone 7 for testing, only to find it runs not as smoothly as the previous version, so I decided to restore with iTunes to downgrade iOS 11 to iOS 10. I was not expecting iTunes to say The iPhone could not be restored an unknown error occurred 2005. Switching different USB cables and USB ports didn’t have iTunes restore error 2005 fixed until I tried free TuneCare. Therefore I would like to share this handy software with you, as well as other helpful ways here to get rid of iTunes error 2005. How Tenorshare TunesCare Fixes iTunes Error Code 2005? 1. Open Tenorshare TunesCare on your PC/Mac and choose Fix All iTunes Issues on the homepage. 2. Click Repair iTunes to start downloading iTunes drives for repairing. 3. Once the downloading finished, the program will automatically proceed to repair iTunes. 4. As soon as iTunes has been successfully repaired, connect your iPhone/iPad and try restoring iOS again. Check your USB connection, USB cable, USB dock on your device, USB port on computer to see whether they can work normally. Switch to a different one if necessary. Update iTunes to the latest version. If it’s already up-to-date, close iTunes and unplug the device. Reconnect it later. Restart your PC/Mac and iPhone/iPad. Try another available computer with iTunes installed to restore your device. Check third-party security software that may block iTunes connection. It might require you to temporarily remove the security software to correct iTunes error code 2005. Transfer Photos, Music, Videos, iBooks, Notes, Contacts, Apps and other files between devices without restriction. Clean up all junk files, temporary caches and useless content that slow down your iPhone/iPad performance. Fix all iOS stuck issues related to boot loop, Apple logo, screen unresponsive, iTunes errors during upgrading or downgrading. Find more about Tenorshare iCareFone now.